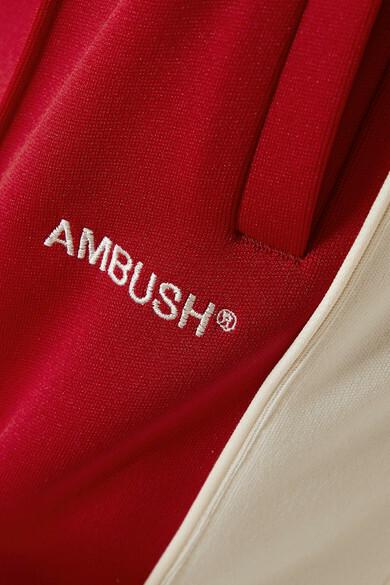 The color palette of AMBUSH®'s latest 'Waves' collection is inspired by Designer Yoon Ahn's recent trip to Hawaii. 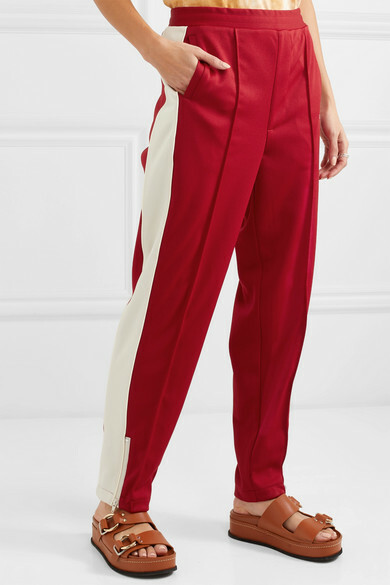 Part of the lineup, these red track pants are made from thick satin-jersey and decorated with the brand's logo and white stripes along each leg. 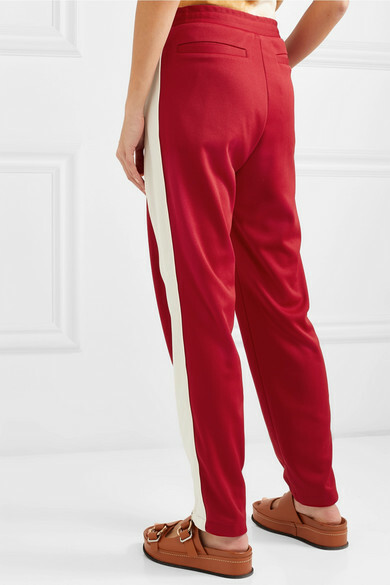 Wear yours with the matching jacket, unzipping the cuffs to show off your sneakers or ankle boots. 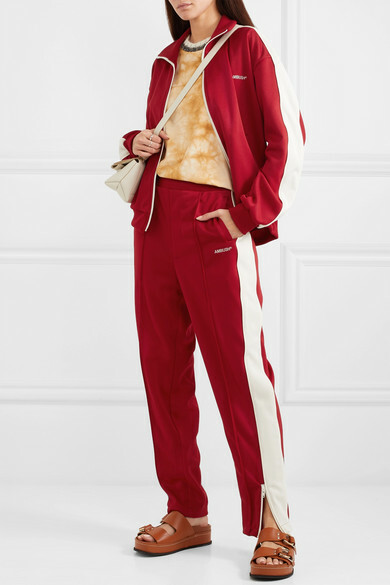 Shown here with: Acne Studios Shoulder bag, 3.1 Phillip Lim Slides, Sophie Buhai Ring, Monica Vinader Earrings.